A number of laboratories offer testing for toxic metals (Pb, Hg, Cd, As, etc.) through blood, urine, hair and stool samples. Because they’ve been around longer than any of the synthetic chemicals, we know more about the health effects of heavy metals than any other group of toxins and a generous list of conditions and symptoms are being attributed to metal toxicities. These toxicities are real, and we all need to avoid new exposures and some people need therapy aimed at pulling these metals out of us. The trick is figuring out who that is. Some might argue that an experienced clinical eye may not need separate reference ranges for provoked samples. Perhaps true, but one could just as easily suggest that this kind of misreporting of results is the rails on which many alarmed patients are getting rolled into expensive, long term and potentially risky chelation therapy programs that they may not need. Let me back up a bit for perspective. As alternative functional practitioners, we strive to use the best science available to diagnose to treat marginalized patients who aren’t getting the care they need from conventional medicine. Our practices serve as the testing grounds for new ideas and ideally as safe harbors for today’s “medical refugees.” Together, our practices subdivide the “syndromes” through investigating hidden causes and probing for responses to alternative treatments. We’re frequently decades ahead of convention, and though always improving, sometimes we end up lost in the sticks. There is always a degree of doubt in what we do, and a wise course to take is one of the open-minded skeptic. My concern is that the apples-to-oranges comparison of chelation challenged vs. unprovoked samples is being paired with a “generous” list of health problems attributed to metal toxicity. The result is that patients may get shuttled toward months (or years) of chelation treatments on some very questionable diagnostic grounds. It’s not unheard of for chelation educators to suggest that patients’ with provoked results that don’t go up be kept on the protocols because their tissues are “holding onto the metals” for reasons admittedly not understood. Be that as it may, the financial incentives for both for the providers and labs are also apparent—and concerning. To be clear, I’m not suggesting that chelation treatment has not helped a significant portion of patients undergoing treatment. In fact, I’m reasonably confident that it has. What concerns me most is that the lab testing could and should be more specific regarding which chelating agent was used and at what dose and therefore refine the diagnosis of metal toxicity and application of chelation itself. Metametrix (recently purchased by Genova) recently started offering a single “catch-all” chelation-provoked reference range in addition to the unprovoked normal range. This is a big step in the right direction, but its notable that their chelation ranges were created by pooling samples received from patients that were provoked with undisclosed (and presumably widely variable) amounts of “DMSA, EDTA, or other chelating agents.” Also notable is that there is no indication whether the samples came from healthy or sick patients. Of the five labs I looked into, there was not a lot of agreement on reference ranges. Only LabCorp dared offer a chelator-specific reference range for one metal. (Bravo!) The only problem was that LabCorp appears to have brazenly strayed into treatment recommendations by suggesting specific doses of IV EDTA and PO DMSA without regard to the patients weight! (WHOOPS!) Every other chelation challenge protocol I have seen, suggested dosing in mg/kg—close, but yet so far. Metametrix stuck a nonspecific toe into chelation challenged reference-arranging, but I fear that they failed to shed distinguishing light on the murky situation. So it’s fair to say that metal toxicity testing is a developing science. It will be a lot of work for the labs to standardize reference ranges for various doses of the different chelating agents for each toxic metal. Still, this work needs to be done. Of concern is that without meaningful and chelator-specific reference ranges, practitioners may be making diagnoses based on apples to oranges comparisons and then may perhaps mistakenly urge patients into long, expensive, and potentially dangerous chelation programs that may or may not actually be addressing an underlying problem. In all honestly, I must admit that while I have studied toxic metal testing and have even taken a course in clinical chelation, but mostly for a the reasons mentioned above, I have not yet used the testing or chelation on patients myself. Stilll, I do strive to be that open-minded skeptic I mentioned earlier in this post. Stay tuned: I’ll post my results next. It might be interesting, because as a medical student I set the class record (out of 100 students) for the hair mercury testing back in 1999. At the time, I had just had the thimerosol preserved Hep-B series, other travel vaccines, and was in the habit of eating 2-4 cans of albacore tuna a week (ala The Zone diet). Dr Morris, so what did you end up doing with this project? I would have voted for management in one way or another, presumably the more convenient or lower cost method since you were, to my understanding, asymptomatic. I think the key for me in utilizing the reference ranges without differentiation b/w chelated and “au naturale” is that a) it can be used as a trending level over time; and b) if it’s normal, well, no need to worry! Unless one were to argue that “it’s ok” to have low lying levels, I presume the intent to test would be based on an intent to treat. So the decision would need to be made pre-testing: depending on whether the person was symptomatic or asymptomatic, what would we do with the result? If I had a patient who was asymptomatic but was “just worried” and needed reassurance for whatever reason, or was just curious, I would make it clear- “if this comes back even mildly positive, are we going to treat?” If they are symptomatic, then I would treat regardless of how positive/high the result was. Pragmatically, it would just make sense to test with the provoked challenge in most cases, no? Because if, unprovoked, the test is (-), one would arguably still not be sure whether there was harbored toxin, right? (Still new to this, so asking legitimately, not redundantly.) Seems like there’d be few times that a negative result with unprovoked testing would be of yield, with confidence, except perhaps to provide reassurance to a patient who I would not want to further pursue investigations, or treatment, for toxins (or toxicants, as Dr. Cline put it today at the conference). The reason I did a three-day challenge and collected at the end is that I wanted to avoid an alarming early-runoff and also the under-explained reluctant metal release scenarios. I did not do a pre-chelation test because I did not see the value in it. Here’s why: if chelation works to grab and pull metals through the urine (and I believe it does), we’d see lower numbers for the metals with high affinity for DMSA in a pre-chelation sample. I had no side effects, other than urine that smelled like a sulfur spring. If anything changed, I perhaps felt mentally clearer and sharper. They are essentially admitting that they (like all the other labs I’ve seen) have no valid reference range for chelated samples. For many practitioners, and even more patients, the perception-bending damage would have already been done. Putting chelation-challenged results on a non-chelated scale is not too unlike giving someone IV glucose and then testing for a fasting blood sugar. In both cases, an alarming and out of normal result really ought to be expected. This is why it’s not a fair comparison, and why I am concerned about irrelevant reference ranges being coupled with a broad list of indicating symptoms leading to patients getting shuttled into highly-profitable chelation programs. Lead (Pb): 9.6 (“reference range” <2.0) = ~5x unchelated "normals"
Mercury (Hg): 4.9 (“reference range” <3.0) = almost double unchelated "normals"
Thallium (Tl): 0.6 (“reference range” <0.5) = barely elevated compared to unchelated "normals" (though DMSA does not have high affinity to Tl). The only other abnormal was a Low Creatinine of 34.4 (RR = 45-225). I'm not sure what to make of this, because my kidney function has always been normal. Dr Su. Thank you for waking up this thread. In my own case, I just did the one cycle of oral DMSA (500mg DMSA-PO, TID x 3 days = 22mg/kg/day) for the challenge testing and stopped at that. Because the labs can not provide meaningful reference ranges for challenge testing, I was intrigued, but not especially alarmed, when two toxic metals came back high. That they were Pb & Hg *was* interesting however. I have been considering, but apparently not too urgently, doing more rounds of oral DMSA and/or oral DMPS. I am not considering any IV therapy options. Challenge testing results frequently come back positive because they are being compared to a reference ranges primarily developed on unchallenged samples. It’s not really a fair test to establish toxicity. I do think there probably is value in comparing test results over time using the same challenge protocol. For instance, if I did my DMSA protocol 3x/month (3 out of every ten days), and repeated the challenged testing at 6 and 12 months, we’d ideally see decreasing levels of the toxic metals in my challenged urine. This is assuming we had addressed the dietary or environmental source of the metals in the first place. How do you know when to stop treatment? That’s a good question, and I’m not sure that the lab tests have a great answer. Waiting until chelator challenged toxic heavy metals in urine fall within unchallenged “low” or “normal” ranges would seem like possible over-treatment. Remember that chelators will grab other divalent cations including nutritional ones (Ca, Mg, Zn, Cu, etc. ), and that the therapy is not without risks. I don’t doubt that with chelation, more metals (toxic and not) are likely to come out in the urine and stool. My fundamental concern with chelation is that we can not be sure that we are not redistributing metals from one part of the body to another (i.e. from the gut, bones, and blood where they are less harmful and into the kidneys, liver, brain and endocrine organs where they are more harmful). This is why I actually like DMSA, because it reportedly has poor absorption from the GI (~20%). Keep the questions and comments coming. I’d be happy to hear from someone in the pro-chelation camp here–especially from someone willing to acknowlegde and examine the attendant assumptions. 1. 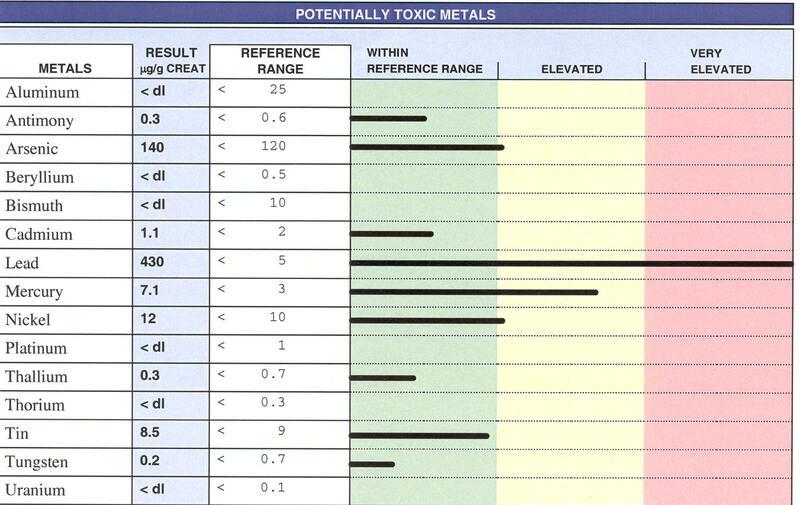 These heavy metals do absolutely NO good for us, therefore the ideal level is undetectable. Thus, finding a body burden is, I believe, a significant finding. 2. The fact that metals occur naturally in the environment and ALL people have some amount does not make them ok. The labs that report “even healthy subjects” will have some amount of metals equates to the “normal range” being not good enough for those of us seeking optimal health, which is the goal of functional medicine. 3. I would suggest that for us functional medicine providers, almost none of our patients are asymptomatic. In fact, they seek us out because the ARE manifesting symptoms from underlying inflammation. And heavy metals may be a root cause, therefore shouldn’t our goal be to reduce the burden? 4. I have been using Quicksilver Scientific blood metals levels for assessment of risk of toxicity, but have seen blood levels RISE in a few of my patients following 3 months of chelation therapy with either DMSA suppositories or EDTA liposomal. This has me concerned that I am unable to know from this test if we are making progress. For these reasons, I’m considering following provoked testing over time in my patients to allow determination of progress. I am concerned, however, with the lack of agreement amongst many very intelligent and thoughtful providers as to the appropriate way to use the tests. I would appreciate greatly any thoughts you have. 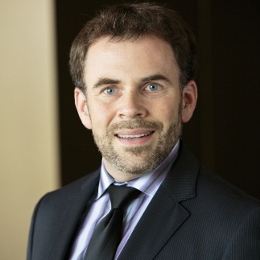 Thank you for your thoughtful post, Dr. Karney. I agree with you that metals like lead, Mercury, cadmium, and Arsenic have no physiologic purpose. I disagree that the ideal level is zero though. They are all ambient in the environment and our bodies at very low levels. Modern lab testing is so sensitive that it is able to detect levels that are not harmful to us. I would also suggest that chelation therapy is not without risks. Those that teach and promote chelation therapy are quick to dismiss the possibility of any negative side effects, but I I’m not convinced. Chelation therapy is commonly undertaken for 6 to 36 months. It is significantly expensive and distracting from other potentially more likely underlying causes for chronic conditions. Chelation also depletes healthy minerals like calcium, magnesium, zinc, copper. Again, those that teach and promote chelation therapy are quick to dismiss this, while also suggesting that these minerals should be repleated, “just in case”. This casual attitude is concerning and irrational. As I wrote in this article, provoked chelation testing has no established normal reference ranges. It is alarming to me that Labs like Genova and Doctors Data report results for chelated samples on an uncollated reference range. This practice by the labs and the doctors that either knowingly or unknowingly use this impertinent test unfortunately has a profit motive. It amounts to railroading Patients into chelation therapy when they very likely do not need it at all. The labs in the Physicians and the company supplying chelation materials all make a lot of money on patients who probably have some real underlying problem other than heavy metals. The greatest cost to these patients is that the underlying problem in their cases it’s not being identified and addressed.